Do this exercise first. 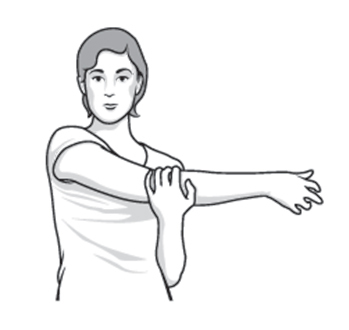 Relax your shoulders. 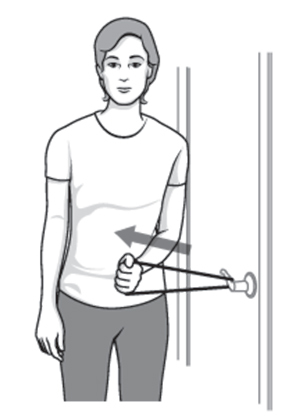 Stand and lean over slightly, allowing the affected arm to hang down. 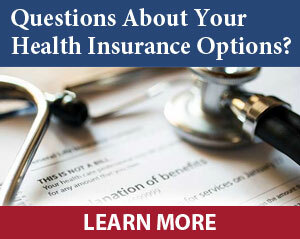 Swing the arm in a small circle — about a foot in diameter. Perform 10 revolutions in each direction, once a day. As your symptoms improve, increase the diameter of your swing, but never force it. When you’re ready for more, increase the stretch by holding a light weight (three to five pounds) in the swinging arm. Face a wall three-quarters of an arm’s length away. 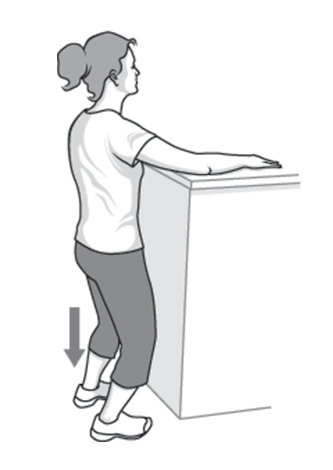 Reach out and touch the wall at waist level with the fingertips of the affected arm. 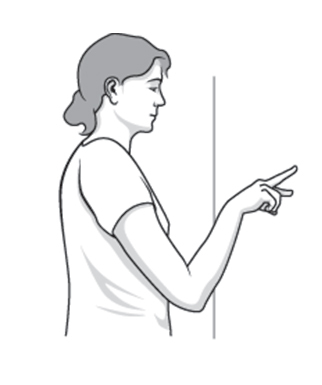 With your elbow slightly bent, slowly walk your fingers up the wall, spider-like, until you’ve raised your arm as far as you comfortably can. Your fingers should be doing the work, not your shoulder muscles. 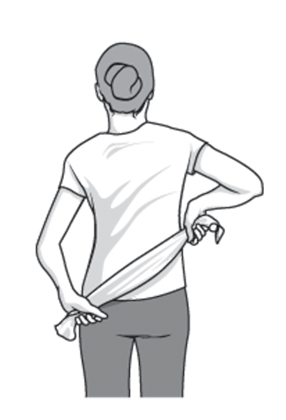 Slowly lower the arm (with the help of the good arm, if necessary) and repeat. Perform this exercise 10 to 20 times a day. 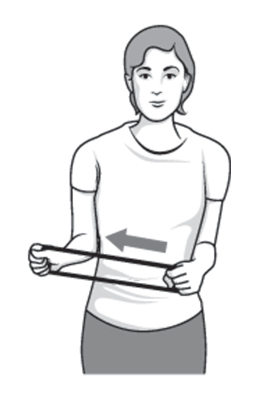 Using your good arm, lift the affected arm onto a shelf about breast-high. Gently bend your knees, opening up the armpit. 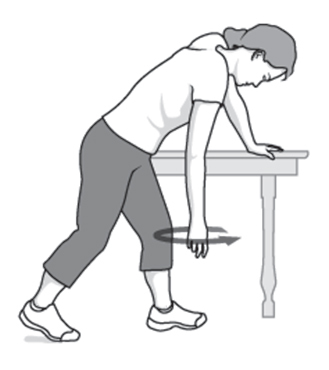 Deepen your knee bend slightly, gently stretching the armpit, and then straighten. With each knee bend, stretch a little further, but don’t force it. Do this 10 to 20 times each day.